During your visit you will be scheduled to consult directly with Dr. Edward Conley, one of the most experienced CFIDS/FMS and autoimmune physicians in the world. 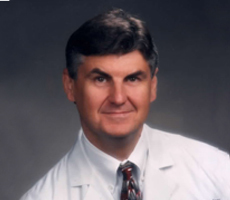 In 1987 Dr. Edward Conley was a nationally recognized sports medicine physician having served as camp physician for the U.S. Olympic Training Camp in Lake Placid. His specialty was improved sports performance by improving mitochondria energy production. He was asked to help the wife of the hospital administrator who had Chronic Fatigue (then known as Chronic Epstein Barr Disease). He used his knowledge of energy production to help her recover. Because she also lead a support group, word of his expertise spread throughout the U.S.
Dr. Conley founded the Fatigue, Fibromyalgia & Autoimmune Clinic and has treated thousands of people from all over the U.S. and the world. He is a board certified Assistant Clinical Professor of Medicine at Michigan State University, a best-selling author and featured on two national Public TV specials: Secrets to Reducing Fatigue (1999) and Secrets to Reducing Your Breast Cancer Risk (2004). Dr. Conley is a pioneer in the integrative treatment of CFIDS/FMS and autoimmune diseases which combines the best of traditional medicine with holistic therapy. He has conducted ground breaking research such as the role of HHV-6 in CFIDS and has appeared on over 500 radio and TV programs throughout the U.S.